Welcome to our Virtual Sigma Kappa Book Club! Be sure to visit us on Goodreads, and please join our Sigma Kappa Group! Even if you can’t participate in our book discussion, join the group and meet a new reader. Our March 2014 selection was the novel, Fly Away Home by Jennifer Weiner. The book tells the story of a political mogul, his wife and children who find themselves in the midst of a heated scandal. When I started this book, I thought it was going to be just another ‘fluff’ story. Yet, this book was so much more than I thought! The story is about the Woodruff family; Sylvie and Richard, along with eldest daughter Diana and youngest daughter Lizzie. Each chapter was told from one of the three women’s point of view and offered wonderful insights into the ‘person’ behind the story. I thought the varied storytelling made for an intriguing family story. It helped me understand what the characters were feeling, thinking, and why choices were made, from their perspectives. I also enjoyed reading about the different family relationships, and how they changed over the course of time. I’m glad I purchased this one, and am pleased to add it to my collection. Here are some questions to get you thinking a little more about the book. Please do post your thoughts and questions in the comments or in our Goodreads group! What are your thoughts about the book? Have you read a Jennifer Weiner story before? Did you like that each chapter had a different narrator? What do you think of each of the three main women characters? Did you find fault or success in their end choices? What do you think about the title, “Fly Away Home,” and its significance to the characters? What do you think about the sister dynamics and the mother-daughter relationships? How do they work together? How does Sylvie and Richard’s marriage affect the family dynamics? The story begins at a summer camp. Six teenagers meet the summer of 1974, the year President Nixon resigns. The group remains ‘best friends forever’ over the years, each growing a life in different directions, yet, staying friends. The story follows the group to New York City, through careers and life choices, and displays for the reader how these personalities and friendships develop and change. The book has been described as panoramic, wide in scope, and even epic. Visit Meg Wolitzer’s website and learn more about the author and her works. Read the April, 2013 New York Times review upon the book’s release. Read an interview of the author, Meg Wolitzer on NPR’s Fresh Air from February, 2014. You can also listen to the interview and read an excerpt. This has been on my to-read pile since it first came out and I’m eager to read it! I hope you like it too. Happy Reading! See you in May! Thanks for all of your great responses to our Virtual Sigma Kappa Book Club! Be sure to visit us on Goodreads, and please join our Sigma Kappa Group! Our group is steadily growing. We now have 40 members! Even if you can’t participate in our book discussion, join the group and meet a new reader. Goodreads is a social site for book lovers and readers. You can see what your friends are reading, keep track of the books you read or want to read, and more. You can link Goodreads with your Facebook account, among several other sites. You’ll notice we seem to be alternating between fiction and non-fiction. I haven’t set this type of pattern on purpose, but am choosing books based on suggestions from other Sigma Kappas, interesting stories, time and news worthiness, and hopefully just plain great reads! I love keeping the mix of fiction and non-fiction as there are great books out there in both areas. If you don’t see a book you like, or really want to introduce the group to a story you love, then tell us! It will be considered for an upcoming selection with my fellow bloggers. Happy New Year Sigma Kappas! I hope you enjoyed our December selection, The Time Traveler’s Wife by Audrey Niffenegger. I’m still in the middle of reading it as I got a bit of a late start and the holidays took up more of my reading time. I found myself having a tough time with the first 50 pages or so and that has slowed down my progress with this book. I’m not sure if it was the number of pages that intimidated me, or that I felt confused in the beginning and found it hard to continue the story. Overall though, I’m enjoying this book and the storytelling is fantastic once I got over the hump. Did anyone else have a hard time with this novel? What did you like best or least about this book? Have you seen the movie? How do you think the book compares? Which did you like better? How do you think the romance and time travel affect each other? Is there any scene that particularly stands out to you? Did you like the main characters and/or their relationship? Our new selection for January 2014 is the New York Times bestselling memoir, I Am Malala: The Girl Who Stood Up for Education and Was Shot by the Taliban by Malala Yousafzai with Christina Lamb. This is the story of a teenage girl named Malala who was shot in the head by the Taliban because she believed in her right as a woman to an education. She is also the youngest person to be nominated for the Nobel Peace Prize. This book won the 2013 Goodreads Choice award for memoir & autobiography, and it came recommended by a fellow Sigma Kappa. Check out more about this at Google Books or at our Goodreads group. The book is available in hardcover and e-book format. Watch her when she talked to PBS’s NewsHour and learn first hand about her battle. Read a review from The Washington Post which gives a great overview of her story and some of the politics surrounding it. Visit the website A World at School or The Office of the UN Special Envoy for Global Education to find out about the international effort being done to ensure all children’s right to an education. Enjoy this inspirational and fascinating story! See you in February! Thanks for all of your great responses to our Virtual Sigma Kappa Book Club! Be sure to visit us on Goodreads and please join our Sigma Kappa Group! We have grown to a group of over 35 women already, and I hope we can get more of you readers included. Goodreads is a social site for book lovers and readers. You can see what your friends are reading, keep track of the books you read or want to read, and more. You can link Goodreads with your Facebook account, among several other sites. November was our first selection and we read Wild: A Journey from Lost to Found by Cheryl Strayed. Find out more on Goodreads, visit the author’s website, or check it out on Google Books where you find out where to purchase the book or get it at your local library. What did everyone think of this book? Did you hope to read it for fun or to find personal insight from the author’s experience? Did it meet your expectations? I had high aspirations for this book and it did not fail me. I absolutely loved this book, from the cover design to the acknowledgements and everything in between. It has moved up to my list of all-time favorite books. I thought Cheryl Strayed showed courage to abandon what she knew to be comfortable and try a new journey. I felt she really learned about herself and what she wanted from life, as well as how to be a better person to others. I hoped to read this and hear a story about a woman who persevered and challenged life, maybe so I could try and beat certain obstacles in mine. Have you ever had an outdoor experience like the Pacific Crest Trail? What do you think about the author, Cheryl Strayed, as a character? Do you believe Strayed grew as a person? Do you believe she learned from her mistakes? A recurrent theme in this book is how the death of her mother affected her life and how she deals (or does not deal) with the grief. Do you think she deals with the grief or masks it? How does grief or the loss of a parent or close loved one affect our reading of this book? What do you think the title Wild and subtitle, From Lost to Found on the Pacific Crest Trail of the book mean? If you have further ideas, questions, comments or suggestions, send them my way! Please use the comments below or the Goodreads group to share your thoughts and ideas. 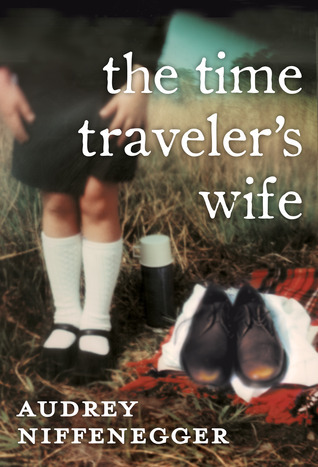 Our December 2013 book selection is The Time Traveler’s Wife by Audrey Niffenegger. While Niffenegger is now an established writer, this is her debut novel which was also turned into the 2009 feature film starring Rachel McAdams and Eric Bana. Read more at Google books, where you can buy the book, or check it out from your library. It’s also available in audiobook, e-book, and foreign language editions. Visit Audrey Niffenegger’s website to learn more about her. I have always been a fan of Niffenegger, mostly for her uniqueness as an author and artist. I got to meet her at the American Library Association’s annual conference this year. She signed a book for me and talked with me for a few minutes; she was so nice and had a great British accent. Perhaps this swayed my decision to choose the book! I also love the movie and yet, have never read the book. Not to mention, it combines two of my favorite things….a Chicago setting and one of the main character’s status as a Newberry Library employee. If you haven’t been to the Newberry on a visit to my favorite city then you must check it out! Go during the annual book sale and you’ll score great finds. New Sigma Kappa Book Club! Staring Nov. 1, the Live Sigma Kappa Blog will be launching its very own virtual book club. Each month, a new book will be announced. I will pose discussion questions for us to think about at the end of my post. Once you read the book, please add your thoughts or questions to the comments section. My goal is to introduce new books and authors to SK readers while perhaps providing a new idea about the book we read. Our first book will be Wild: A Journey from Lost to Found by Cheryl Strayed. You can visit the author’s website or check it out on Google Books where you find out where to purchase the book or get it at your local library. It was an Oprah book club selection, however, this isn’t my reason for choosing the book. I have a personal love of memoirs, and this one has been in my to-read pile for quite some time, always calling out to me! This memoir is about a woman who is grieving the loss of her mother, a divorce, drugs, and an otherwise chaotic and unsettling life. Her discoveries and personal journey of endurance and perseverance are throughout her story as she treks along the entire Pacific Crest Trail. You can see videos and read an excerpt on her website to get a sample of the book’s first chapter. It is a New York Times bestseller and has been an acclaimed novel on many lists and sites, including being a Goodreads Reader’s Choice for 2012. If you are on Goodreads, please join our Sigma Kappa Group! Goodreads is a social site for book lovers and readers. You can see what your friends are reading, keep track of the books you read or want to read, and more. You can link Goodreads with your Facebook account, among several other sites. We already have a small number of members, but we would love to have more. While reading Wild, you may want to learn more about the Pacific Crest Trail, a hiking trail that spans three states and borders both Canada and Mexico. Check out the US Deptartment of Agriculture where you can view an interactive map and learn the history. Visit the Pacific Crest Trail Association to learn about a nonprofit group that preserves and protects the trail. Watch a PBS special about a couple who rides horses from the start to the finish of the trail in one year, a feat everyone said could not be done. Happy Reading! Please check in with us on Dec. 1 and tell us what you thought of the book! You can also email me with questions or suggestions for future picks. November is a good time to remember what we are thankful for, and reflect on what is good and true in our lives. This month helps our mindset be put into a ‘thanks’ and ‘giving’ kind of mood. While it may be easy to reflect in our minds and moods, it’s not always easy to put down on paper. I have been lucky enough to be blessed with an incredible little sister who is five years younger than me. 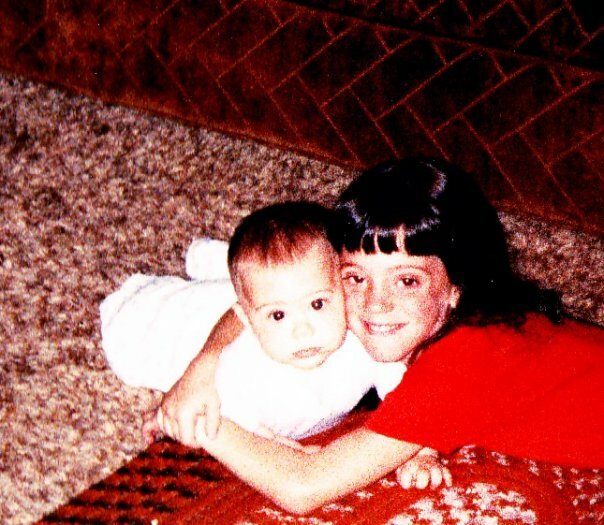 I was the typical bossy older sister and I never realized just how much she looked up to me until I was an adult. I see it now in my two nephews the sheer admiration a younger sibling has for his or her older sister or brother. I wish I knew as a child just how much I influenced her life. She has certainly influenced mine probably more than she ever realized too. My baby sister has grown up into a woman who I am so proud of, I could probably never effectively express her impact in my life. She is unbelievably strong, smart, generous and thoughtful, beautiful inside and out, kind and loving. She is a mother, a daughter, a wife, and she will always be my first and best friend. We laugh, argue, talk as any sisters would, perhaps more than others. I never thought I needed other ‘sisters’ because well, I already had one. I never thought a network of hundreds and thousands of Sigma Kappas could one day become my sisters. Yet, they did. Sigma Kappa is one part of my life that I am always thankful for, and hope I can always give back to. To us women who call ourselves Sigma Kappas, November 9, 1874 is a very special date because it’s the founding of our beloved sorority. The more I learn about our history and the time period in which these five brave and intelligent women met, I am amazed at their fortitude to form a sorority. Women in 1874 were not seen as equals in the eyes of men, they could not vote or own property, and the women’s rights movement was just beginning. Perhaps that movement was some motivation for starting an organization in which these five young ladies were not judged based on what others believed they could or could not do. In fact, these five women praised and loved each other for their unique talents and gifts of lifelong friendship. Over the years during my involvement with Sigma Kappa, I have met women across the country who I never would have met otherwise. I call these smart, funny, lovely women my sorority sisters even though I didn’t go to college with them. It’s truly remarkable to have so many strong minds to engage with, and I’ve loved every minute of it! As a librarian, I try to break the stereotypes of the crabby old lady with bun in her hair, glasses hanging on her chain and really ugly shoes. As a self-proclaimed sorority girl, I hope I’ve broken the negative stereotypes by the work I do, along with the good and true person I strive to be every day. I hope in 100 years when our blog posts are archived into databases, and other young Sigma Kappa women research us to find out what life was life in 2012, that I and my sorority sisters can be examples of voices strong and hearts united. It’s not too difficult in today’s book world to find stories of sisterhood and friendship. There are even titles and series such as, The Sisterhood of the Traveling Pants by Ann Brashares or Divine Secrets of the Ya-Ya Sisterhood by Rebecca Wells, with the word ‘sisterhood’ right in it. These are great reads to try if you haven’t discovered them. Yet, I wanted to dig a little deeper and find suggestions that also dug a little deeper into this idea of sisterhood and friendship. Let me know if you’ve read any or have other ideas in the comments. Enjoy and Happy Founder’s Day! Perhaps a bit different in terms of the use of sisterhood or friendship, this is the story of Candida Wilton who starts over late in life. She begins by writing in a diary about her new life in London, and eventually takes a trip to Italy with her new friends. This is a uniquely written novel with some twists and turns in the ending. I haven’t read this one but it’s made my to-read list. Check it out on Google Books. I will admit, I chose this because it’s about a book club who reads Anna Karenina. However, it’s also the story of six very different women brought together by their love of a beautiful novel. It’s the story of friendship, literature and secrets and betrayals. I haven’t read this but it’s on my to-read list now! Find out more at Google Books. A novel about the women in communist China of 1926. Rural families were often forced to sell or abandon their children so they could simply survive. Pei Chung is a young woman whose family does just that as she then find her new life in a silk factory. Yet, she forms friendships and a type of sisterhood with the women who work there. This book spans decades as Pei grows up from a young child into an adult. This book also has a sequel with equal positive response and praise called The Language of Threads. Find Women of Silk here on Google Books. The premise reminds me of Memoirs of a Geisha by Arthur Golden which also has a sense of sisterhood and friendship among the geisha women. Another good read worth pursuing. This is a book in which some readers have described as a light read, yet I chose it for my list because it puts that typical sorority girl into a more positive light. It does have some stereotypes, but the overall theme is everlasting friendship. This is a book about four women in 1975 who become friends during their new member education period and how they build bonds that last after graduation. Read more at Google Books.